A hundred years ago, the Grand River wasn’t valued for it’s natural beauty as it is today. Instead, its power was harnessed to move mills wile its constant flow flushed out industrial and farming run-off. But today, the Grand River, which snakes its way through Preston, Galt and Hespeler, has become synonymous with the city’s charm. 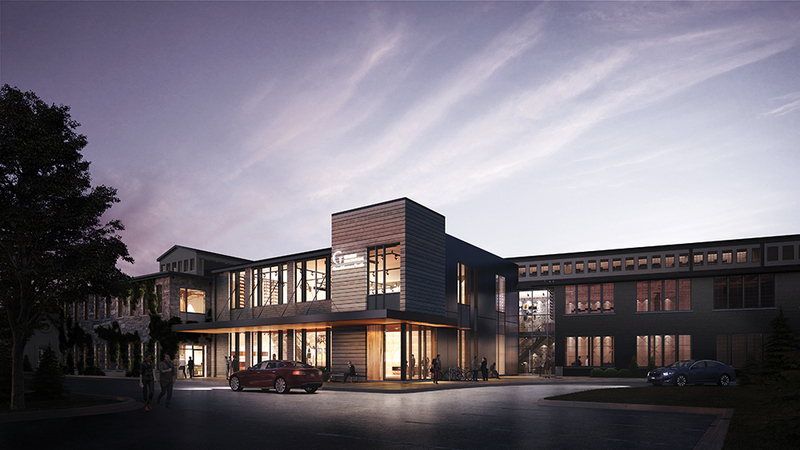 With a nod to the town’s history and a focus on the future, MartinSimmons Architects Inc. is excited to be playing a role in the Gaslight District development. MartinSimmons Architects Inc. has built a reputation as a leader in the restoration and redevelopment of heritage sites, including their extensive redevelopment of the Google building in Kitchener. “It’s great that we’ve been asked to be a part of The Gaslight District project, and to get the opportunity to breathe life back into these architecturally stunning buildings,” says Patrick.